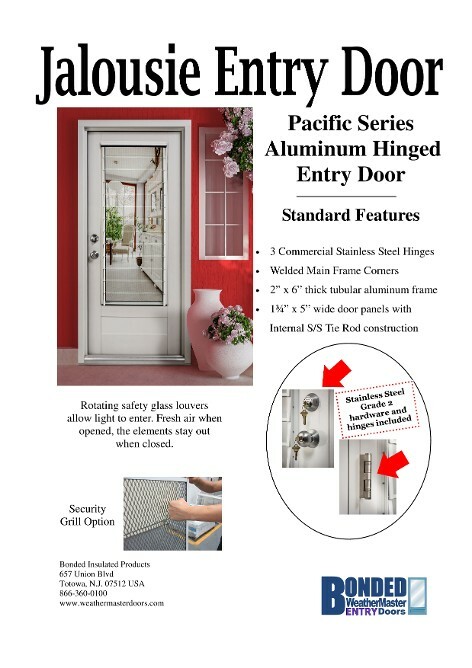 The Pacific Series Jalousie Entry Door includes tempered safety glass louvers for maximum lighting. 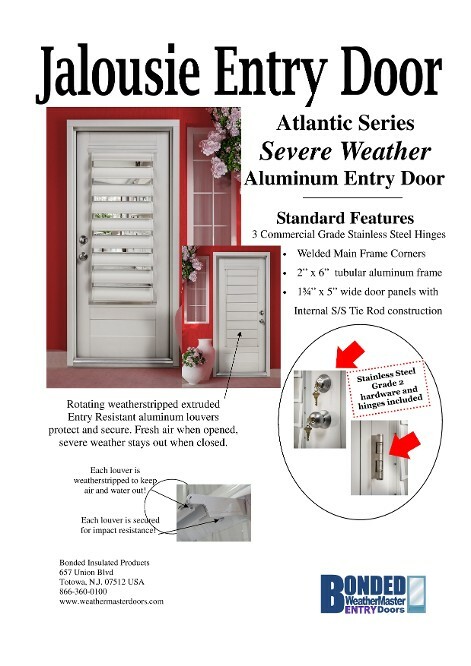 The Atlantic Series Jalousie Entry Door includes non-removable extruded aluminum louvers that close up tight for protection against severe weather. 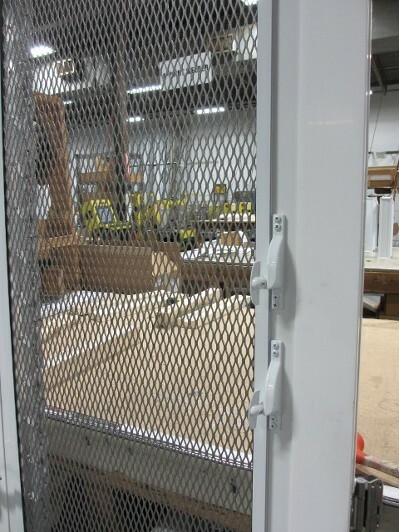 Screens are included with either door as is Grade 2 stainless steel operating hardware and hinges. 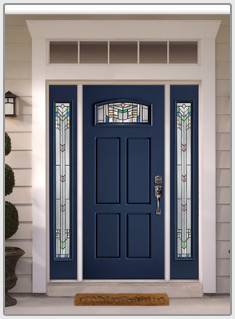 A safety glass storm panel is included with the Pacific Series Jalousie Entry door. If you prefer to purchase your own hardware or re-use existing handle sets if applicable, the door will come predrilled to receive your handle and deadbolt set. There will be a deduction in cost if you choose to provide your own operating hardware. We prefer to supply and install hardware here to assure proper latching between the door slab and the master frame. Each door comes prehung complete with 6” thick aluminum master frames and a 1¾”thick door slab. Each door will be hinged on the side you require. 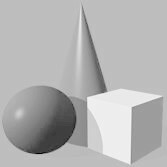 Inswing or outswing hinging is also your choice. Doors shipping complete with hardware will have the hardware installed. Keys will be provided for each handle set. The Security Grill is optional on either door series but is most commonly supplied on the Pacific Series Jalousie Entry door. 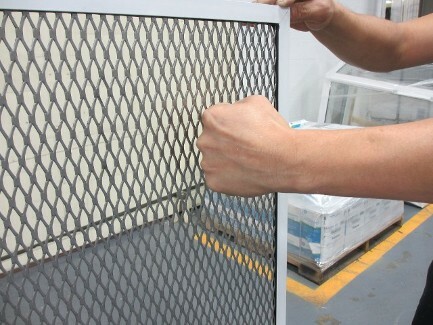 Intruder resistant stainless steel allows air to flow through the screen but keeps out fingers. White electrostatic painted aluminum extruded master frame designed to receive a jalousie unit that will contain ¼”clear tempered jalousie style safety glasses, all with a seamed edge and a safety glass logo etched into the glass. · * Glass is held into an extruded aluminum clip, pinched between the aluminum and a stainless steel spring steel clip. · * This unit is not air resistant. · * Gear type operators will be factory supplied and mounted. · This door can be offered in a darker finish, i.e. Bronze/Brown and the jalousie unit will match. 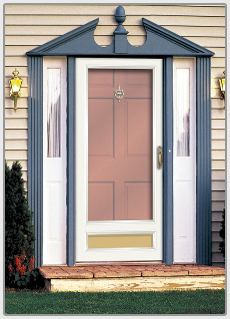 A minimum quantity of 20 doors is required for an alternative door and jalousie finish. White electrostatic painted aluminum extruded master frame designed to receive a jalousie unit that will contain extruded aluminum slats. · * The aluminum slats are screwed in place and are non-removable. · * The aluminum slats contain water and air resistant weatherstripping that function when closed. 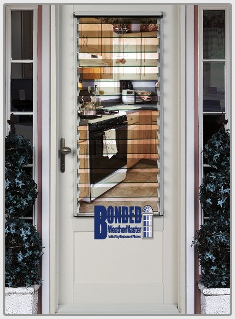 · This door can be offered in a darker finish, i.e. Bronze/Brown but the jalousie portion will remain white. 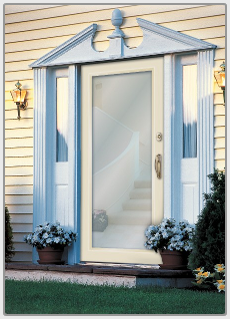 A minimum quantity of 20 doors is required for an alternative door finish. Stainless Steel Security Grill. Mounted on the interior of the jalousie door, covering the jalousie glass area. Screen and glass inserts are easily exchanged,the grill remains securely attached to the door. WE SHIP Jalousie Doors NATIONWIDE!